First Coastal Play of 2019! Description: Foodstory wants to welcome you to our second ever Clothes Swap event! We are accepting clothes donations, until Thursday the 31st of January. Everyone who donates items will be receiving an email with extra details of benefits and a VIP pre-view! The event will run from 10am to 6pm on a token based system. All visitors will receive 3 tokens, that can be exchanged for items of clothing available. At 5pm we will allow people to take unlimited items from the swap. All left over clothing will be donated to the YMCA Charity Store on Skene Street, who are supporting our event! Tours last about an hour and your tour guide will take you around the farm, including some areas not accessible to the public. To come along please book tickets in advance by following the ticketing link. Description: Learn about Aberdeen’s history and colourful characters, from pirates to Lord Byron, in this free two and a half hour walking tour around the city centre. Interested in learning more about Aberdeen? 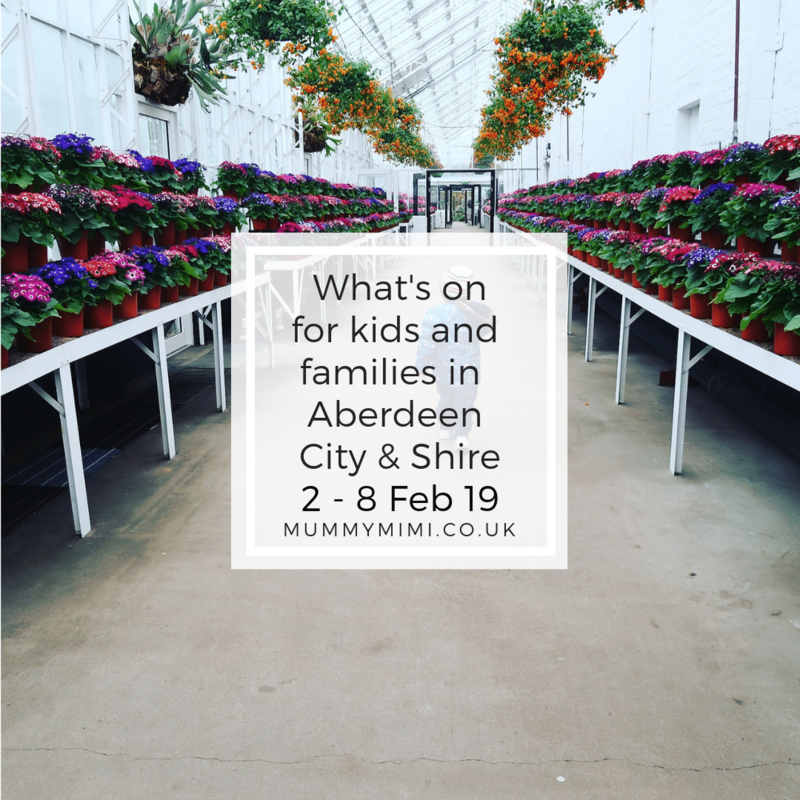 In this tour you will see the highlights of Aberdeen city centre, while you find out about Aberdeen’s social history, its quirky inhabitants and how it got to where it is today. All tours start from the Mercat Cross in the Castlegate. Walk-ups are welcome but to guarantee your place, reserve a space on our website. The tours are free. Donations are welcome. Private tours are available on request. Just contact us at scotfreetoursaberdeen@gmail.com. Description: We are thrilled to bring to you a great event with a great message. ‘Walk the Talk’ sponsored walk in aid of Samaritans, Aberdeen. The event will be aimed towards raising awareness of mens mental health & the samaritans charity! We are working closely with the Aberdeen branch to bring the best walk possible. The walk begins at Duthie Park leading out to cults along the old railway line and then back to the Duthie Park. It is approximately 6.5 miles in length and takes in average 2 hours. The route is flat so is accessible for all. Children and animals welcome! Step 1: Send us a message with your name and any other walkers included in your group. Please, also tell us your t-shirt size and others in your groups t-shirt sizes. Step 2: We will email you back with details which you can make payment to with a reference number which must be included within your payment. Keep note of this reference, you will be asked for it on the day of the walk. Step 3: You’re signed up! Description: Jump In have kindly let us have an hour to raise funds for Go Luca Go. Tickets are priced at £5 in advance and can be bought from the Portlethen Primary office, or by contacting the Go Luca Go Facebook page. Description: Here we have our second day in Fraserburgh. The venue is lovely, the therapists amazing, the stalls interesting, so well worth a visit. Description: Come along to our FREE TASTER on Sunday 3rd February @ 1pm. The taster is suitable for babies aged 12 weeks to 12 months. Where: Hazlehead Park, Aberdeen – the small swing park on Groats Road in between Hazlehead Academy and the rugby pitch. Description: Engaging weekly woodland classes for 2 to 5 year olds to discover nature and play and explore outdoors! Come for a dose of Vitamin N(autre) to this 5 week course and explore a secret wood in Hazlehead Park! Hopefully play in the snow, squelch in mud, jump off rocks and in leaves, climb mountains, make things, AND have cosy drinks and biscuits outdoors! Description: Let’s build together with themed creative sessions this New Year. Age 8-11 years. Booking essential. To book, call 01224 498160. Description: Let‚Äôs build together with themed creative sessions this New Year. Age 8-11 years. Booking essential. To book, call 01224 872572. Description: Face Off Is a programme aimed at teaching children and young people how to react, confidently and responsibly, towards anyone they have an awkward relationship with at home, at school, in the street or online. Description: Baby Discover is a unique baby learning & development experience with inspiring creative play, sensory activities, music & treasured artworks. Description: A yoga class especially for new parents and babies from 8 weeks upwards to not yet crawling. The class includes lots of lovely postures for both you and your baby. It’s a great way to bond with your baby and meet other parents in a relaxed environment. The class has some clothed baby massage and baby yoga which help your baby to sleep and really helps with digestion and requires no previous experience. You just need yourself and baby in comfortable clothes, a blanket and a mat if you have one. The class runs every Wednesday at 10.10am-10.55am and cost £6 per class and runs upstairs in Foodstory cafe on Thistle street so perfect place to have a coffee and chat after class. Feel free to stop to breastfeed, bottle feed and change nappies anytime during class. Description: Our award winning ‚Little Explorers‚ art classes for toddlers and preschool children provide the perfect solution for all your child’s creativity needs, with no stress or mess for you! To book, call 01224 484534. Description: Let’s build together with themed creative sessions this New year. Age 8-11 years. Booking essential. 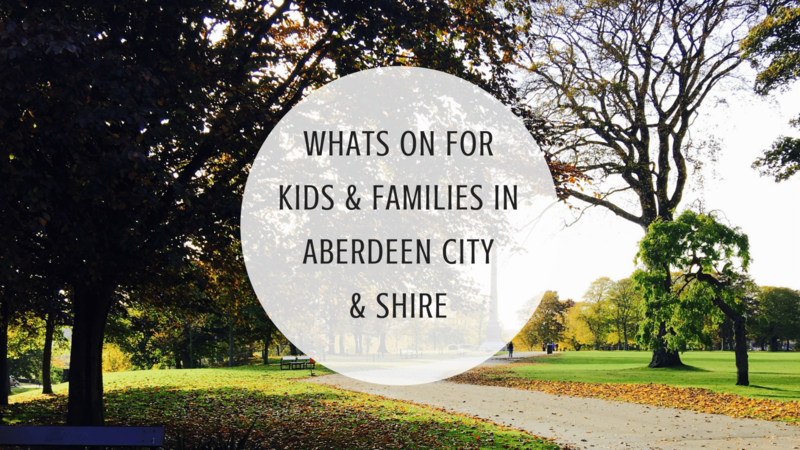 To book, call 01225 652507 or email childrenslibrary@aberdeencity.gov.uk. Includes basket supper, bottomless draught juice & popcorn! Bookings now open. Come and join us for lots of messy play fun, from spaghetti to colourful custard to crunchy cereal! We offer a variety of sensory/messy play activities for your little ones to explore. Our classes are suitable from ages 4 months old to 4 years old, older siblings welcome and we can also provide a sand art craft activity if they would prefer. We are very excited to welcome the wonderful Critter Keeper back to Bourtree on the morning of Thursday 7th February 2019 (the start of the February half term break) – we hope to see you all there! This event is open to anyone so please spread the word to your friends and families – though tickets will be limited! There will be some snacks and light refreshments available to purchase also on the day. Description: Engaging activity classes for 2 to 5 year olds to discover nature and play and explore outdoors! Come for an adventure around the lovely Countesswells Woods. Look for red squirrels, find our resident ladybirds hibernating for the winter, have cosy drinks and biscuits for snack and make things to take home! Description: Join The Makers for a Valentines Weekend at Union Square Aberdeen from Friday 8th-Sunday 10th February 2019. We’re bringing you the very best in handmade goods from the best makers selling everything from art, candles, jewelry, accessories, modern home decor and much much more! Description: Winter is here and on the farm we feed the birds who live within our magical woodland during the winter months. We would love you to join us and help us fill up our Belwade Bird Feeders and use our bird spotting sheet to see which species you can see on the farm. You will be able to make your very own bird feeder while you are here, which you can take home to feed the birds in your garden. To finish the workshop we will return indoors for a crafty fun. Full materials will be provided. Children to be accompanied by an adult at all times. Please come wearing appropriate outdoor clothing and footwear. To book spaces click on the ticketing link. Singalong experience and film showing at The Royal British Legion Oldmeldrum Branch! You have all seen the film, you all know the songs so come and join us and have a good sing along! Tickets – £2.50 per child (includes Hot chocolate with marshmallows and a cake. Free Entry for parents – Tea & Coffee available.